I have four books to recommend today, and a new, free magazine. This historical novel by Jodi Daynard came to my attention in the Wesleyan University e-newsletter; apparently Jodi and I were in the same class. The book is a mostly – but not completely – fictional account of the lives of women left in their small Massachusetts town during the Revolutionary War, whose husbands were fighting, had died in the war, or were pursuing other work. Lizzie Boylston, a local midwife, is married to a young man from a wealthy Cambridge family, and together they started a small farm in Braintree. Nearby is a distant cousin, and soon to be friend, Abigail Adams. The story begins in May, 1775 as Jeb Boylston leaves his bride behind and sets off to join Colonel Prescott’s regiment in Cambridge … just as several of my ancestors in Middlesex County did. We think we know something about this war, but the story reminds us that we seldom think of the day to day problems faced by everyone during that time; food shortages, disease, questions of class, race and gender in an emerging society, price inflation, and the inability to discern friend, foe, and spy during what was, essentially, a civil war. This intriguing tale would make a terrific vacation read. Anyone who knows Rhode Island history knows that founder Roger Williams is a deeply complex character whose sense of personal responsibility and humility have shaped the formation of American ideals. Freedom of religion? That did not start in Massachusetts, not by a long shot. It started here, among those thrown out of Massachusetts for daring to follow their own religious principles. John M. Barry’s book explores Williams’ remarkable story and the political and religious turmoil in England that helped to shape his priorities, and the principle of personal obedience to God that made Williams unable to follow the strict mandates of the Massachusetts leaders. Williams’ early life in England offered him an outstanding legal education in the service of the great attorney Edward Coke, and a broad exposure to the social unrest in England that encouraged resettlement in New England. 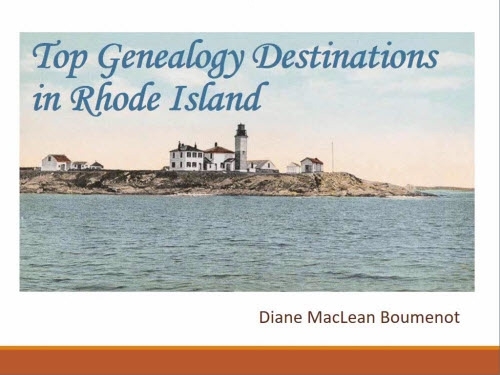 The book is not especially filled with the kind of details genealogists seek: locations, family members, financial details, records left behind. But Williams’ story features many poignant and courageous moments, for instance, his respect for all mankind which prompted him to learn the language of some of the neighboring native American populations, which probably saved his life during the months he spent wandering the southern New England wilderness after escaping a death sentence in Massachusetts, and also his political and legal abilities which secured the charter for the colony of Rhode Island at just the right moment, and at great personal cost. This book was suggested in a blog post by genealogist “Dr. Bill” Smith. Virginia DeJohn Anderson’s book was first published in 1991. 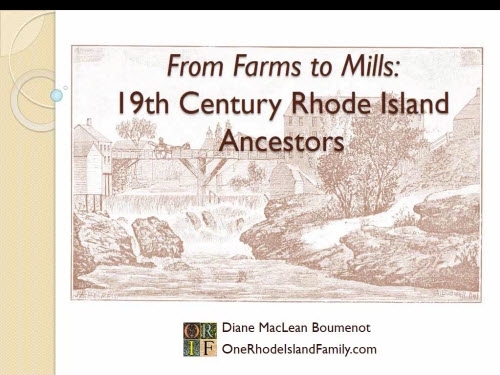 It traces the story of groups of immigrants to Massachusetts in the 1630’s. I read this several years ago, and probably no book clarifies my thinking about my ancestor’s motivations more than this little volume. She weaves together scanty details to make the reader understand the kind of relationships that formed in England, re-formed in the early settlements along the coast of Massachusetts, and allowed communities to be started in the wilderness of the Massachusetts colony. Her examples help me understand, for instance, the advantages of being an early arriver in a new settlement, the complexity of bringing a middle class lifestyle to a wilderness; and the importance of community-building. It focuses on many material details of interest to family historians: what was the ocean journey like? What did they bring? What were their occupations, and how did that change in the New World? What were their real motivations for leaving England behind? 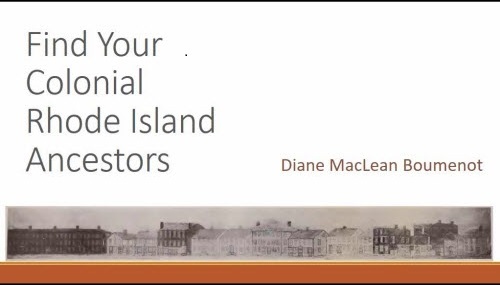 From this book I truly began to understand the middle class status – neither higher nor lower – that typified my early Massachusetts ancestors. I heard an interview with author Eve LaPlante on Marian Pierre-Louis’ Blog Talk Radio show, Fieldstone Common, concerning her book Marmee and Louisa. As I looked through her many other works I was drawn to this book, published in 2005. Genealogists will be interested to know that Eve is a direct descendant of the woman she is writing about. Anne Marbury Hutchinson was born in England, where she learned midwifery (which also involved the secrets of herbal medicine for many purposes) from her mother, and free thought and literacy from her father. She and Williams Hutchinson married, and began a family. Inspired by new religious teachings (particularly of Rev. John Cotton), and hoping to pursue them more freely in Massachusetts, Anne and her husband William arrived in Boston in 1634. A competent, strong woman, Anne was a deeply conscientious person whose belief in service and obedience to God surpassed her loyalty to civil authorities, both in England and Massachusetts. The story of her trial in Massachusetts is moving and revealing of the times. Although a legendary Rhode Island founder (who settled in Portsmouth, Rhode Island), Anne spent relatively little time in Rhode Island; continuing harassment and threats from Massachusetts forced her to move on to a settlement at the western edge of Long Island, near New York City. I never knew the circumstances of her death until I read the sad details in this book. This and several other works by Eve LaPlante are enormously helpful for understanding the circumstances of our female ancestors in the New World. Going In-Depth is the free digital genealogy magazine presented by The In-Depth Genealogist. In each monthly issue, you’ll find guest articles, regular columns, and free resources such as Ask Ephraim and MIAA to help you along your family history journey. As with all IDG products, we strive to create a resource for every genealogist, no matter the age, stage, or focus of your research. Enjoy a new issue on the 15th of each month. Thanks for the shout out for Going In-Depth. We truly appreciate it. I appreciated your reviews. I had not heard of the first three but, based on your thoughtful recommendation and given their regional and historical nature, they have been added to my “Want to Read” list. They also are highly recommended by other reviews at book oriented sites. Really enjoyed the book reviews. Thank you. I’ll definitely read American Jezebel to learn more about that era. Rev. John Cotton was my 7th g-grandfather. Thanks for the great book reviews, Diane! As usual, the photos you include in your messages significantly enhance your content. Many thanks for the link to Going-in-Depth. I’ve looked at the recent issue and agree what a great gift that is to all of us.